You must be a member of the Istanbul Spontaneous Activities Group to attend this activity. Would you like to join this group? Here is the lovely weekend plan. 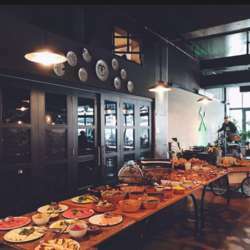 The venue is offering breakfast on a la carte menu and jazz session starts afterwards at Protected content . Jazz session is free of charge. Pls click on attend if you can make it. Thanks for understanding. This is a joint event with istanbul fine art group.